(USA) – Toronto-based LALAYADesign won the Best of Launchpad, in the lighting category at this year’s WantedDesign 2018. Warding off stiff competition from a room full of talented designers hailing from all over the world, LALAYA Design’s delicate cement lights caught the attention of the jury led by Katie Stamaris of Design Within Reach, Giuseppe Butti, CEO of Luceplan and Marva Griffin Wilshire of Salone del Mobile Milano. 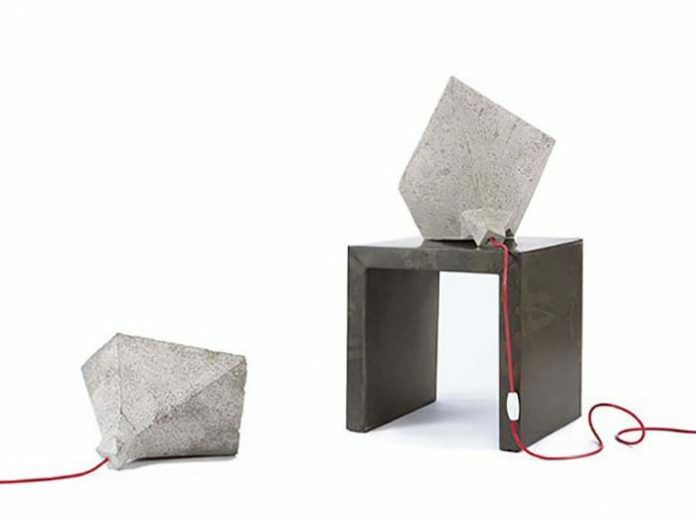 The Toronto-based furniture and lighting design studio specialises in minimalist concrete creations and was founded, somewhat unexpectedly, in 2017 by Hanae Baruchel, who turned to designing furniture following a brain injury. Baruchel plays on the surprising malleability and versatility of concrete and steel to design her minimalistic line of home furniture, lighting and décor items. The studio takes its name after the Brazilian word, la-la-ya (pronounced ‘lah-lah-yah’), a common musical phrase that embodies what joyful singing sounds like. Baruchel finds much inspiration in music; in lightness and harmony. Accordingly, the interplay between heavy and light, a penchant for asymmetry and the unexpected, are signature elements in LALAYA collections. Each LALAYA design is assigned an onomatopoeic name to tease out the playful attributes within her designs. LALAYA’s products have been sold in Canada, France, the U.S., the Netherlands and India.